Rescue Run: Race for Marine Mammals features a 5k chip-timed trail race and un-timed walk through Odiorne Point State Park to benefit Seacoast Science Center’s Marine Mammal Rescue Program. 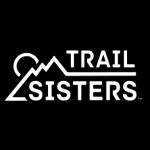 Now in its 11th year, this popular race follows the 5k cross-country trail route created by Jennifer Shultis, captain of Team Eastern Mountain Sports, 2006 US Adventure Racing National Champions. You’ll run through the forest, by the rocky shore, across a sandy beach, and alongside historic military fortifications. The first 175 registrants for the 5k receive a free official wick-wear (new this year!) race t-shirt. Race shirts will be available for purchase for $12 day-of, while supplies last. 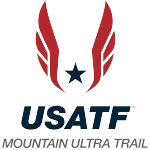 Prizes are awarded in age and gender categories from 6 to 60+, as well as overall fastest male and female for the 5k (must run in the <8 min. pace/mile to qualify for overall winner). The Kids Fun Run starting at 9:40 am features a 300-yard dash and a half mile run for children ages 12 and under. Every child that participates in the Fun Run wins a prize. Following the race, there will be a light runner’s breakfast, music, fun ocean-themed activities, and even a mock seal rescue for the kids! After the race, stay to join the Blue Ocean Society for a beach clean-up at 11:00am! Participants will comb the shore of Odiorne Point to collect and record data on trash that’s picked up to help keep our ocean healthier. Please note that dogs are not allowed in Odiorne Point State Park. Strollers are not permitted on the 5k trail. Children, age 12 and under, must be accompanied by an adult on the 5k. 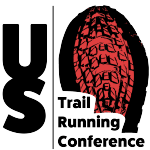 5K Trail Run Participant Fees: ages 13+ – $25 before 4/16, $30 thereafter; ages 6-12 – $15 before 4/16, $20 thereafter; ages 5 and under – free. Kids Fun Run Fees: 300 yard dash for kids under age 5 – $6; 300 yard dash for kids ages 5-12 – $6; half mile run for kids ages 12 and under – $6.